Even without the Pyeongchang Olympics putting it on the world map for 2018, South Korea is becoming a tour-de-force among Asian travel destinations. Driven by the energy of its 21st-century capital Seoul and a rich ancient history, Korea warms you in a way that no other country in East Asia can. Whether it’s the sheer surprise of discovering such an unexpected gem, the sting of its complex culinary flavours on the tongue or the collision of hyper-urbanity and natural goodness, is anyone’s guess. In any case, Korea’s not a place where you’ll ever leave disappointed. Like other countries in East Asia, Korea rocks out four distinct seasons. Summers are sweaty and wet while winters are predictably cold and snowy. Fall and spring fall somewhere in between. Despite the extreme heat and increased rainfall, visitors travel around Korea by the hordes during the summer months. Instead, try visiting Korea in the spring or autumn shoulder seasons when crowds are smaller and accommodations and flight prices are more reasonable. The best time to visit Korea is perhaps late March and early April when the cherry blossoms are in full bloom throughout the country. Autumn between October and November is another fantastic time to visit with the beautiful bright fall colours in full swing. There’s no better introduction to Korea than the buzzing city of Seoul. 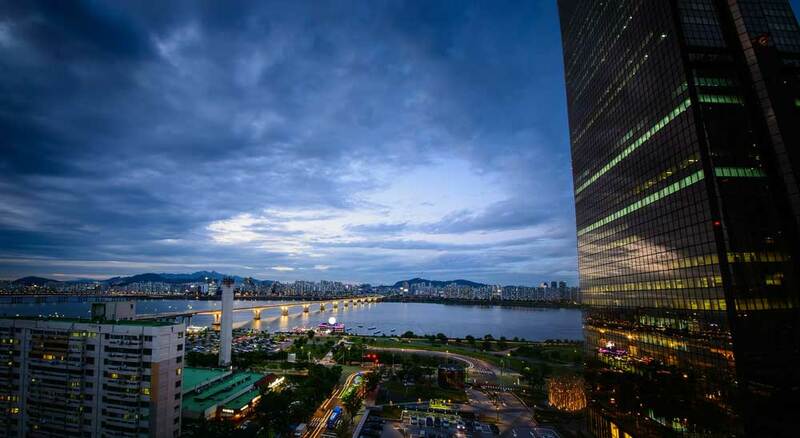 And while you may not connect with this megapolis as quickly as with other East Asian cities like Tokyo, Kyoto or Hong Kong, there’s a lot to love about the Korean capital. For culinary brilliance, Seoul could be one of the best food cities in the world—if more than slightly underrated. And with temples and palaces battling with fashion boutiques and mountainous urban hiking trails for your attention, there’s more than enough to keep you busy in this crazy ol’ town. The cultural heart of Korea pumps in Gyeongju. 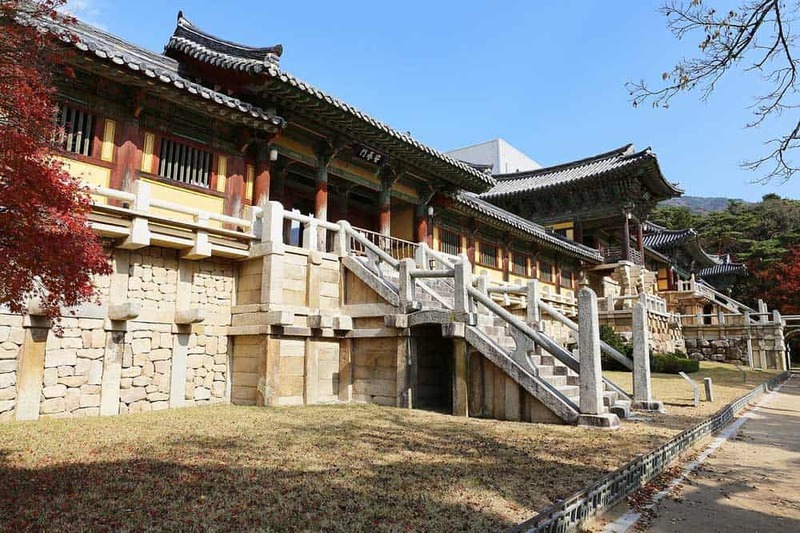 Whereas Seoul wows with its immensity and infectious exuberance, Gyeongju’s historical pleasures will drop your jaw like no other place in South Korea. Gyeongju and its surroundings are chock-loaded with tombs and temples that more than hint at its importance in the country’s history. 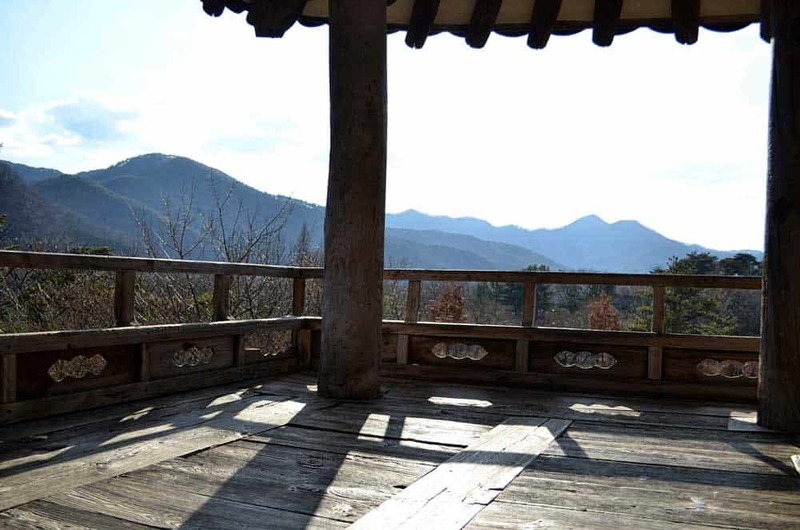 The most impressive and famous of Gyeongju’s attractions is Bulguksa, a temple dating back to the 8th century and nestled among pristine mountains that feel world’s away from the buzz enveloping much of the peninsula. Korea’s second city of Busan doesn’t see as many visitors as the capital. It’s a shame because anyone who skips it is truly missing out on one of the best urban experiences in Korea. There’s no doubt that the brash attitude of Busan is bound to ruffle a few feathers. I hesitate to say that’s just all part of its charm. While it will take a little while to adjust to the faceless sprawl, the pleasures of the city are best experienced at a slower pace. Dive into its markets, fill your stomach with fresh seafood, lounge on its beaches or hike to its remote temples and you’ll see why Busan isn’t as bad as first impressions let on. Compared to the chaos of the bigger Korean cities, the pleasures of Andong are simple. 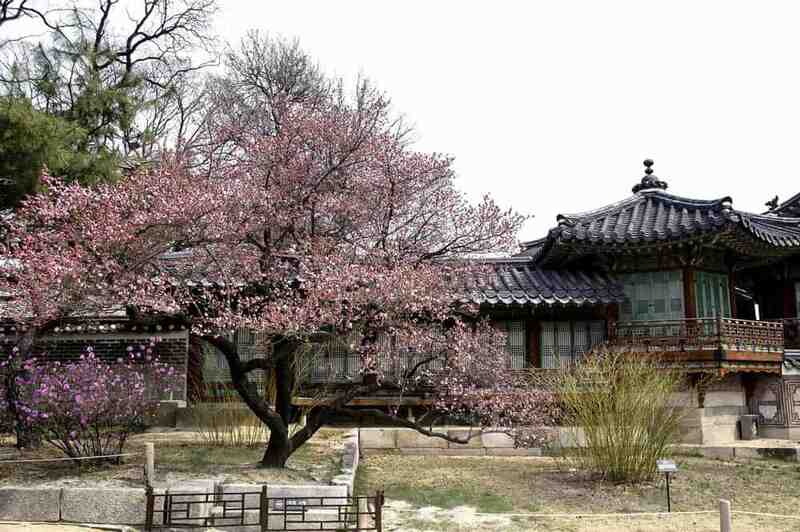 What you’ll find in this quieter corner of Korea showcases the country’s more traditional face. Adjusting to the slow pace of life in Andong can be one of the biggest challenges you’ll have in visiting here! Of all the city’s drawcards, none is more tempting than the Andong Folk Village. It’s a tad kitschy, to be sure. But with urban development sweeping across the peninsula in a furious pace, there aren’t many authentic examples of traditional everyday Korean architecture remaining in the country. This folk village is one of your best chances to see it in action. The quickest way to describe Jeju Island in a pinch is that it’s a small slice of Hawaii off the southern coast of Korea. That explanation is probably far too simplistic. The small Korean volcanic island of Jeju is a little of that—and whole lot more. Whether you find yourself hiking through its Jeju Olle Trails, powering up Korea’s highest mountain of Hallasan, or admiring the sunrise atop the extinct Ilchulbong volcano, it’s not hard to explain why Jeju Island one of the most popular places to visit in South Korea. While it doesn’t quite seem to get the attention of its more popular neighbour Japan, Korea’s got a little of everything to keep travellers smiling. 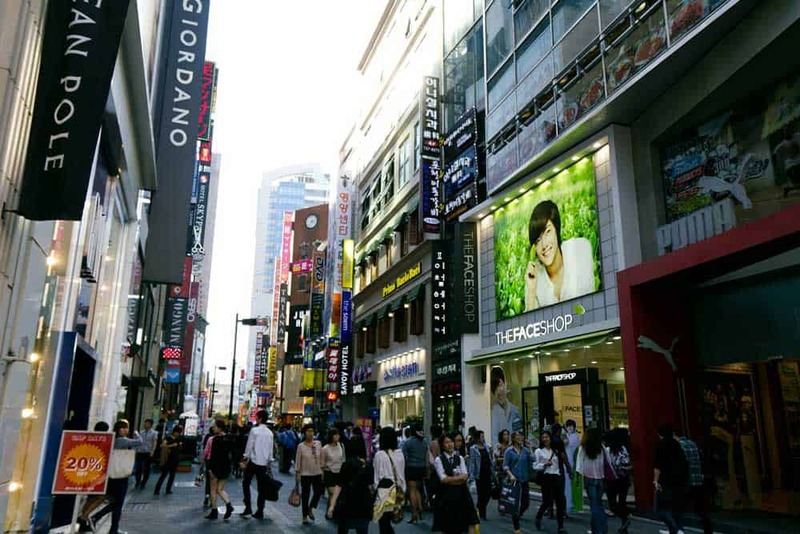 Seoul, the cosmopolitan and consumerist heart of Korea, is a highly underrated city in Asia, and presents the perfect springboard for launching your Korea trip. From the capital, it’s hardly a stretch to dive into the rest of the country thanks to a well-developed and efficient public transportation system. Get started exploring with this complete 10-day Korea itinerary. I’m not going to lie: I wasn’t always a fan of Korean food. In fact, when I first visited Korea, I simply loathed it. Unlike the familiar tang of Chinese or Japanese food, the flavours of Korean cuisine are a little shocking for Western tastebuds. And as I’d soon discover, that’s part of what makes Korean food so appealing. Korean food is anything but ordinary: it’s spicy, complex, and, once you get over the initial shock, highly addictive. 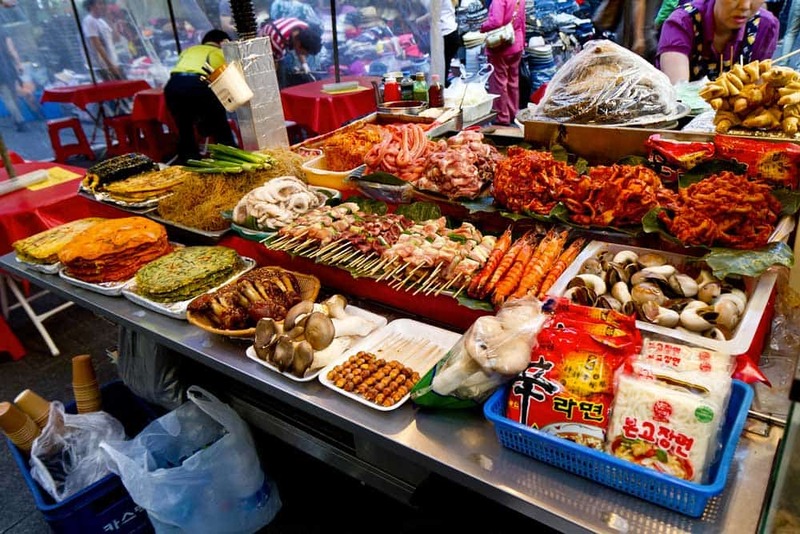 Here are a few of the most popular foods in Korea to scope out. Kimchi: At nearly every meal you’ll find a side of these fermented Korean vegetables. To foreigners, kimchi is often synonymous with its napa cabbage variety, but the term expands to cover any vegetables that are fermented with this method. Tastes vary by region and by city, so it can be a little hit and miss. The strong flavours and spiciness can take some getting used to. Oh yeah, it’s also super-duper healthy. Bulgogi: One of the easiest dishes to introduce yourself to Korean cuisine. This grilled and marinaded beef is sweet, savoury, and packed with flavour. You’ll often find it served with lettuce leaves and smeared with ssamjang, a flavourful fermented bean paste. Bibimbap: There’s no real universal standard when it comes to this mixed rice dish. Bibimbap arranges rice with mixed vegetables and gochujang (fermented spicy bean paste) for flavouring. Simply mix and eat. Japchae: A delicious dish featuring stir-fried sweet-potato noodles and vegetables. The taste is both sweet and savoury, and instantly loveable. Tteokbokki: One of the ultimate Korean street foods. These stir-fried rice cakes often use a gochujang-based sauce to fire up the flavours. Most visitors enter South Korea via Seoul’s Incheon International Airport (ICN). Several airlines flight into Incheon International including Korean Air and Asiana Airlines. Looking for cheap flights to Korea? Check out fares on Korean Air or Skyscanner. 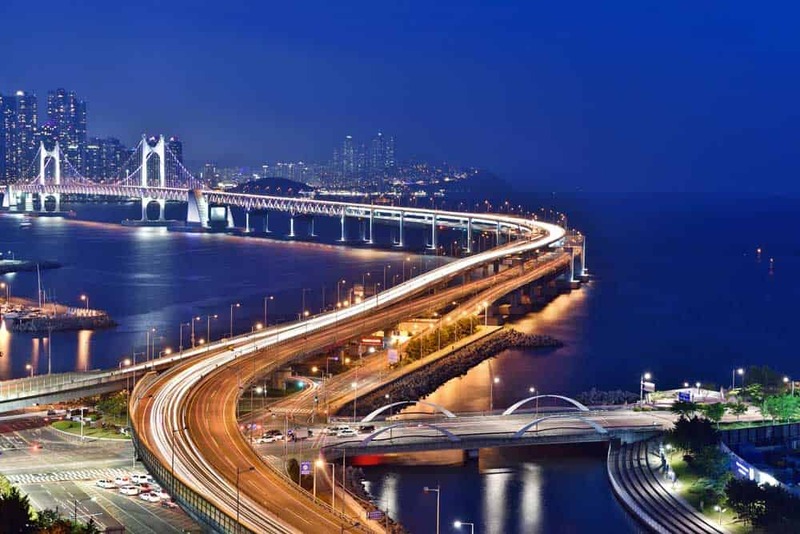 South Korea has definitely taken the cue from its Asian neighbours in developing a world-class public transportation system throughout the country. By train: The quickest and most comfortable way of getting around South Korea is by train. There are efficient routes between most major cities including the high-speed KTX bullet train connecting Seoul to Busan all the way across the country in less than 3 hours. By bus: Travelling by bus in Korea is another good option. Although it’s cheaper and routes are plentiful, it’s generally slower than the train and slightly less comfortable. Stick to express buses rather than local ones for the quickest and most comfortable ride. By air: With the ease and speed of overland travel in Korea, there’s little reason to fly between domestic destinations. 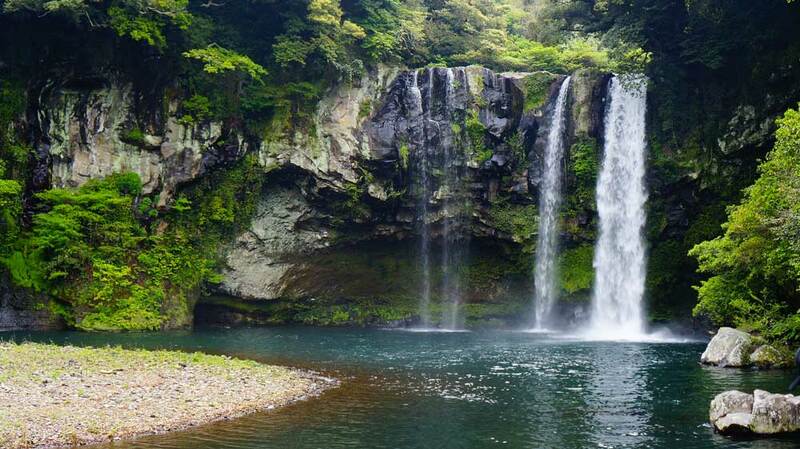 The one major exception is the popular Jeju Island island route that would otherwise require a ferry trip. By ferry: South Korea has a surprisingly robust ferry network connecting its port cities and islands. If you simply love travelling by water, it could be an option, but flights and overland routes tend to be much quicker and more comfortable. For getting to far-flung places like Ulleungdo, you may, however, have no choice.